Daily hours are 9am - 5pm seven days a week with the exception of Thanksgiving and Christmas Day. For a $10 adult admission fee ($6 for children ages 6-11 and free for children under 6), you can enjoy an hour-long guided tram tour conducted daily at 11am, 1:30pm and 3pm or explore the park on foot and forage for fallen fruit (harvesting fruit on trees is not permitted). You can also enjoy a delicious lunch at the Mango Café and sample rare fruits in the gift shop. Picnic facilities are available, so bring the kids and enjoy the day. The Fruit & Spice Park was the vision of Mary Heinlein, a woman who came from a family of pioneer homesteaders who found the abundance of the Redlands to be an inspiration. With avocado pears, mangos, sapodillas, papaw papaya, lemons, limes, and more, the sub-tropical fruits and plants that are grown here showcase the bounty of South Florida's native climate and resources. 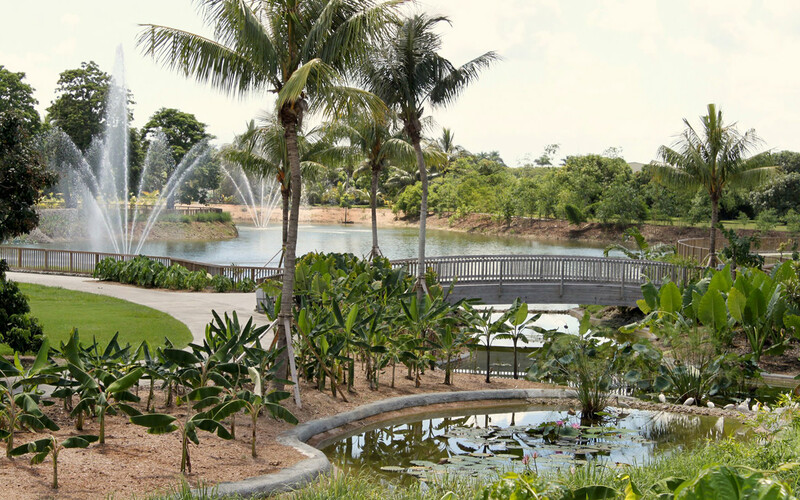 Today, the Fruit & Spice Park is a 37-acre subtropical paradise nestled in thousands of acres of tropical greenery. 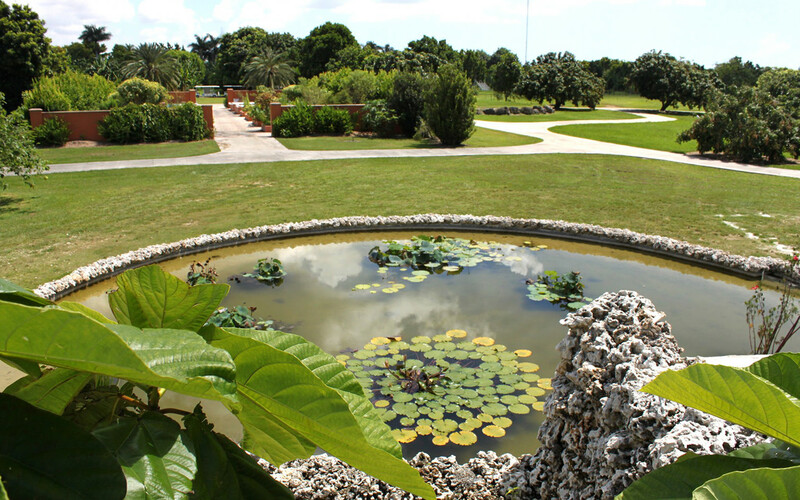 A jewel in South Florida’s agricultural community the park attracts over 50,000 visitors a year to its gardens and festivals. More than 500 varieties of exotic fruits, herbs, spices and nuts from around the world including 180 varieties of mangos, 70 varieties of bamboo, 40 varieties of bananas, 15 varieties of jackfruit trees and countless other exotic edibles flourish here.